When it comes to dining, Blair's Restaurant boasts an impeccable menu showcasing the best of Scottish produce with a contemporary twist. Whatever your appetite, you'll find it in or kitchens - from formal feasts and snacks, to afternoon tea and bar bites. 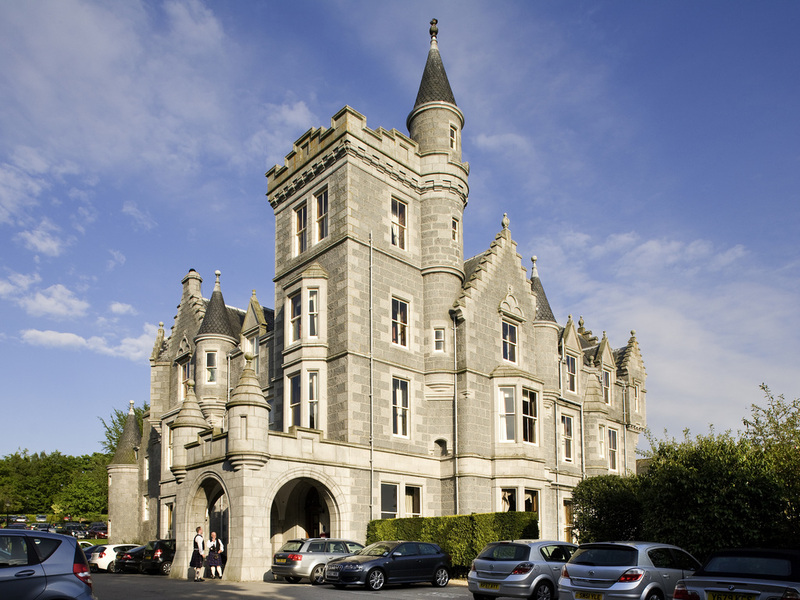 Inspired by nearby Balmoral Castle, The Scottish Baronial style chosen for Ardoe House was a popular style, first created for a house built for the famous writer, Sir Walter Scott, whose works fired up renewed passion for Scotland. Disappointed that when we tried to have a shower in the morning there was no hot water . Lovely comfortable room, friendly staff, good food. Only disappointment on one evening waited 55 minutes for starter at evening dinner. Great experience, with very attentive staff! Nice hotel with lots of potential but currently failing to meet the billing. Lengthy check in as staff were struggling to cope with the requirements of a guest whose booking wasn't as it should be. Nice large room, however, the glasses in room were dirty and had lipstick marks around the rim. The room was cold and had cobwebs dangling from the ceiling above the bed. There was no guest information available in the room regarding the facilities at the hotel. The availability of a spa was appreciated however the changing areas were tired and in need of refurbishment. The food provided in the restaurant was very nice, however, the service was appalling. The Maitre D' and head waitress seemed to know what they were personally doing however the rest of the wiating staff were clueless and had not been trained or instructed properly. Simple tasks like offering bread, taking orders, providing information on menu choices and delivreing food seemed to be beyond them. A number of dishes came and went as the staff didn't know which table they were for and my wife received two of the same deserts at the same time. This didn't improve wit hthe breakfast service. After being seated and asked if we would prefer tea or coffee, the tea never materialised. After a considerable wait a second request was made to waiting staff which was met with some indignation. This was then compounded by having to request milk following the arrival of tea. As stated earlier a grand hotel with lots of potential that could easily be rectified by some basic training, better supervision and an improved attitude of staff who take a pride in their work and the facilities thay are offering guests. I’m very disappointed with the last 2 stays at the Ardoe House Hotel, the issue with food seems to be endemic both at breakfast and evening meal. My stay between the 25th and 28th Mar 2019 before my wife arrived and stayed the weekend with me was problematic. For example, on entertaining the restaurant for breakfast I ordered 2 poached eggs then made toast and used the self service buffet before returning to my table. I started to eat my breakfast thinking the poached eggs will arrive any moment, but after maybe 5 more minutes asked the person in charge ‘where are my poached eggs?’ I had almost finished my breakfast when the poached eggs were brought to my table to eat them alone. The next morning again I ordered poached eggs, thinking the previous days problem wouldn’t be repeated, to my astonishment it did, this time I didn’t ask anyone where were my poached eggs, these never Regarding evening meals, I’ve had to wait a long time (between 45 and 65 minutes) for my starter and then told ‘sorry’ the chef has not prepared your starter but plated your main. This has happened on the dates as previously mentioned as well as tonight e.g. Tues 16th April 2019. People who arrived after me in the bar had received both starters and mains before me starter arrived. In the past I’ve been give the wrong starter so it doesn’t surprise me that these mistakes are made. Finally, my company pay for DBB, if I stay in the hotel in future I’ll ask for B&B only and eat out. Very disappointing! Mr Kevin H.
A very enjoyable stay. Beautiful room and surroundings. Staff very helpful and go out of their way to be of service. My dietary requirements were met to my full satisfaction. Nice place, good location- a few tweaks and it could have been perfect. Staff definitely 10/10 (except one) but sometimes seemed like there was no manager/supervisor running things. No complimentary bottle of wine in our room for arrival / no teaspoons in the room for the tea tray / no bottle opener for the bottles in mini bar. Dinner menu didn't change and no daily specials to supplement it. Tables in the bar didn't fit chairs used - not a comfortable experience to eat there. Cushions in the drawing room would have been good. When checking out there seemed to be a problem with our bill - the receptionist was lovely but had to get a supervisor to help her, there was no apology or explanation of what the problem was from the supervisor, she looked distinctly unhappy ... bit hassled maybe. The bill was correct. Had a pleasant stay with good food and very pleasant staff. If I was to have an &quot;off&quot; comment...it was the bed mattress was too hard? Upgraded to a premium room which had a better view but not much bigger. The water didn’t get replenished in fridge after first night. Would rather water than coke etc. Coffee at breakfast awful. Staff and service was great. Pool was lovely and bar really good. Apart from the niggles I have mentioned it was a good stay. Enjoyable stay with a lovely room. Room was absolutely first class with excellent facilities and looked as if it had been refurbished recently. Meals were good with some excellent local produce. Disappointed at always having the same vegetables at dinner. Desserts were fantastic. Breakfast was good but only fried eggs on offer. Added supplement items for breakfast looked nice but not worth the extra. Swimming pool was excellent but a lack of lockers with keys. I stay in this hotel most months for either 1/2 nights and am always extremely satisfied. The conference facilities were ideal for what we required and the conference staff extremely helpful and cooperative. Overall the meals were extremely good for 30 attendees and trainers. The room had obviously been refurbished and was very comfortable - some of the best night's sleep I've had in a hotel. Peaceful and relaxing hotel with welcoming and friendly staff, spotlessly clean, lovely beds and excellent food. On top of that even our dogs were given a warm welcome. We could not fault a thing we had a wonderful short stay in this beautiful hotel, only wish it could have been longer. Obviously well run by a great team so keep up the good work as it’s not often you find a place like this. We will definitely be back! We enjoyed a 5 night stay in a spacious classic room., big enough to spread out in for that length of time. Very quiet hotel. Staff were pleasant, especially the breakfast time staff . Breakfast choice very good. Our one bar meal was disappointing however the staff worked very hard to address the disappointment. Internet connection needed renewing every evening which was frustrating. Over all a good hotel, which we definitely would return to.